Any business, whether small or large, needs a website for it to prosper. When the website does not fulfill the criteria of that particular business, the output of the business is usually affected, and it may not turn out to be successful. Thus, your online presence has to be effective. There are many ways by which you can have your website designed according to your business type. The best way to accomplish this goal is to have professionals do the work for you and have a perfect website with everything you want. Small businesses do not have big needs. When it comes to making a website, you need to have one that is good in all ways. For that, you can consult a professional, who is an expert in the field, and tell him your needs and have a website that you want. 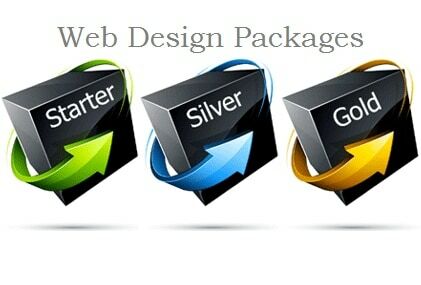 Moreover, there are different packages and offers by different companies that deal in providing good web design packages. A small business web design package has many benefits that can give you an attractive website at a lesser cost and also provide you with many benefits. It all basically depends on the package that you buy. There are many ways by which you can end up with a good deal. When looking for an appropriate package, all you need to do is gather all the information regarding the packages available and then choose the one that meets your requirements and budget. There are different packages available, like the starter, pro and the premium. All serve different purposes to fulfill the needs of small businesses. A small business web design package provides with many added services, starting with a website name, logo, layout, search engine validation, free updates and a lot more. Another strategy to end up with the best web design package is to look around and compare the number of services all packages under the same price tag, offered by different companies, have. Since you have a small business, investing too much on hiring these services would be a waste of money. Thus, get the one which provides max benefits and services. By making the most out of the money you are willing to invest, not only will you be saving up on some precious money but also fully utilizing it to reap optimal results by employing various services. The package obtained will be useful in every perspective. Firstly, the tension of not having a website will be gone and you can have the relaxation that your website is being made by a professional. However, the most important factor to be considered while having a website made is that it should be attractive enough to maintain a constant flow of visitors who can easily search the website until they purchase what they are looking for. Having a website that is attractive and effective should be one of the main objectives of any business. A small business web design package that caters to all your needs is not hard to find. Such packages could be costly to invest in, but this cost is just for the initial stage and it will prove to be profitable for your business in the long run. Small businesses also have certain needs and demands, since they have to strive harder to secure a place in the market. 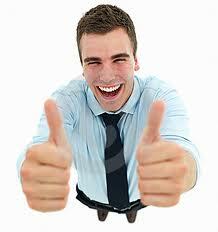 Therefore, a welcoming and informative website can do wonders for your business to become successful. All you need to do is consider all available packages wisely and buy the one that best suits you and your business.